We are now 337 days away from the release of Star Wars: Episode IX. Surprisingly we still no virtually nothing about the film, which is being said to be the "final" chapter of the Skywalker saga. "Great working day on set!! The whole team pushed themselves today to achieve something visually crazy! I’ve had many moments of shock on set but not like today and I can’t wait until you know why👀🙌🏾 #FN2187"
Filming for Episode IX has been underway since August of last year, leading many to believe that production might be drawing to a close soon. As far as what Boyega could be referring to, you're guess is as good as mine. You may remember that Kevin Smith mentioned having been on the largest set he's ever seen while visiting the production a couple months ago. 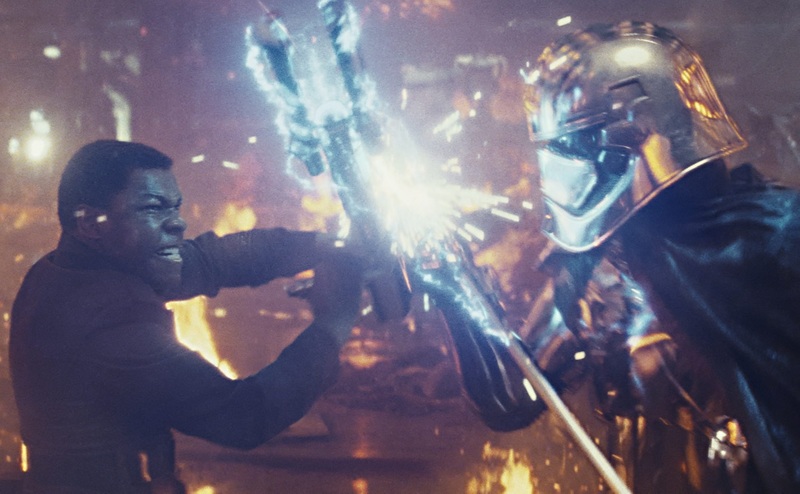 Both Smith and Boyega's comments could mean mean Episode IX will be on a larger scale than any of its predecessors. Of course, that's just speculation, and I can't wait to see what they're really talking about when Star Wars: Episode IX hits theaters on December 20th, 2019! If you have a theory about what could be "visually crazy", leave it in the comments below! Star Wars Episode IX hits theaters on December 20th, 2019 and stars Daisy Ridley, Adam Driver, John Boyega, Oscar Isaac, Kelly Marie Tran, Mark Hamill, Billy Dee Williams, Lupita Nyong'o, Domhnall Gleeson, Keri Russell, Richard E. Grant, Naomi Ackie, Dominic Monaghan, Anthony Daniels, Joonas Suotamo, Billie Lourd, and Carrie Fisher. The film is directed by J.J. Abrams, with a script by Abrams and Chris Terio. Repelling or exuding force lightning from his hands?